Smart App Protector apk will protect your android installed applications using a password or pattern lock.If you register Smart App Protector apk,you can also prevent screen android from turning off and auto rotating when selected apps are open. 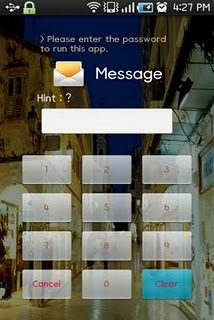 -Protect installed apps using password or pattern lock,pattern unlock. actuallly i was searching for this protector for my mobile. now i will download this and install this in my mobile and will check this in details. Mobile phones with phone guards on it tends to last longer than those that does not use it.